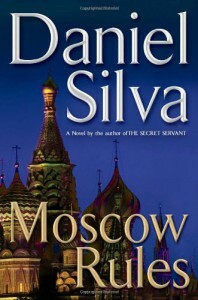 I’ve read a lot of spy novels, but this was the first I’ve read by the author. It struck me as being formulaic with not many thrills. If this book was ice cream it would be vanilla. I would have liked more background on the characters so I could relate to them better, but there is very little. The writing and the plot are good, but not great. The big plot twist is kind of improbable, but not out of the realm of possibility.I didn’t feel much in the way of suspense. It read more like a newspaper article than a novel. There are some authors whose style I just can’t get into, but I’ll give another one of his books a try. For me this was mediocre.